In promoting culture and internationalizing businesses, the Puglia Region identifies two strategic aspects of what it does. Cultural activities are one of the bedrock elements of the regional action on the level of cultural identity, individual growth, and social cohesion; they are a strategic factor, socioeconomically and in terms of competitiveness, as well as for Puglia’s attractiveness for flows of regional, national, and international cultural tourism, also with a view to deseasonalizing these flows. Support for diffuse cultural activities aims at fostering free expression and a broader spread on regional territory, with a view to the subsidiarity of the interventions carried out by public and private parties. 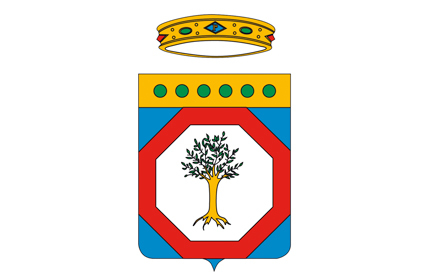 The Puglia Region supports the local marketing and the internationalization of the productive systems and of Puglia’s enterprises, with particular reference to reinforcing the capacity for entering into and being a presence on leading international markets, through the preparation of instruments in support of integrated projects and aggregated initiatives for international promotion and commercial penetration. Founded in 1948 by UNESCO in Paris, the International Theatre Institute (ITI) is the largest and most important worldwide organization for the performing arts, created with the aim of promotion and of intercultural dialogue. The network extends to more than 100 countries, between National Centres and Cooperating Members. The ITI fosters the development of practises of exchange between artists and theatre institutions on an international level, in order to consolidate processes of knowledge and interaction between cultural operators from around the world. Internationalization of the theatrical arts and international partnerships, thanks to networking and relationships between the Centres, are thus key words for the ITI. The ITI supports and promotes the UNESCO Convention on the protection and promotion of the diversity of cultural expressions. It supports activities with artistic, educational, and humanitarian objectives in conflict zones and in developing regions, in order to foster peace and mutual understanding. The most well-known initiatives promoted by the ITI include World Theatre Day (27 March), International Dance Day (29 April), and the Theatre of Nations. The writers who have crafted the message of World Theatre Day include: Jean Cocteau, Arthur Miller, Luchino Visconti, Eugène Ionesco, Wole Soyinka, Maurice Béjard, Peter Brook, Ariane Mnouchkine, Dario Fo, and Anatoly Vasiliev. 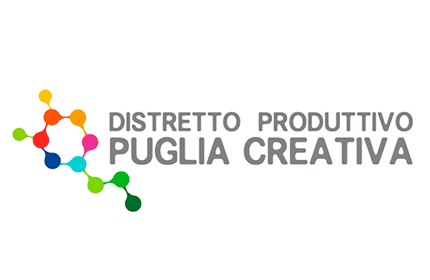 The “Puglia Creativa” productive district (DPPC) is the expression of Puglia’s cultural and creative enterprises in response to Regional Law no. 23/2007. A pioneering, national-level design workshop, the DPPC has the objective of being a point of reference for young start-ups, for professionals who risk being excluded from support opportunities through EU funding, and for all the territory’s cultural enterprises interesting in initiating a policy of design alliances, in order to achieve direct involvement in exchanging services and in designing initiatives for professional relations. The categories belonging to the District are: Visual arts, Cinema and Audiovisual, Dance, Design, Multimedia and Broadcasting, Music, New technologies, Services, Theatre, Regional bodies, Employers’ organizations, Trade-Union organizations, University.